Can you get a Core i9 in a "thin" laptop? Origin's EVO-17S can. Origin PC’s EVO17-S says it’s okay to consider an inch-thick laptop “thin.” Sure, many mainstream laptops are mere slivers in comparison, but none of them can pack a Core i9 and GeForce GTX 1070—at least, not without the embarrassing performance nerf’s of a Macbook Pro 15. 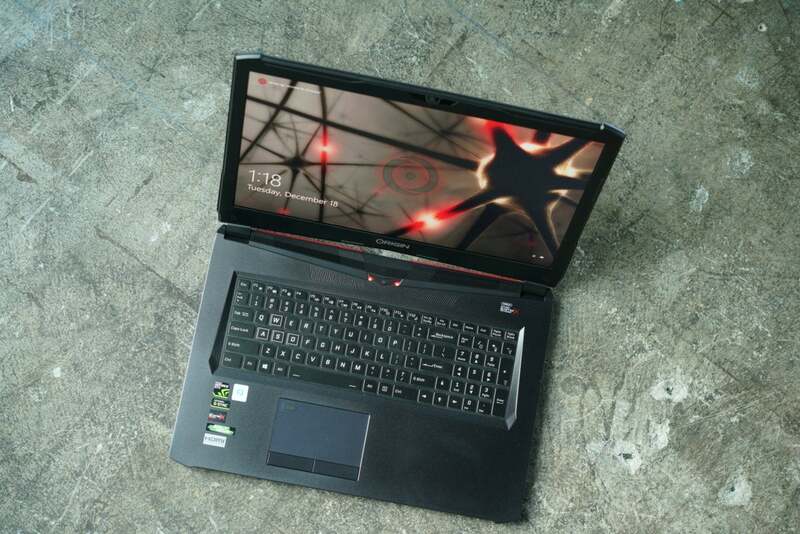 As our benchmarks show, if you have a need for speed, the EVO17-S will deliver. The star of the EVO17-S is its CPU: The mighty Core i9-8950HK is the fastest Intel chip out there. Paired with an Nvidia GeForce GTX 1070 discrete GPU, the other components almost don’t matter. What more do you need? Origin didn’t skimp, though. This laptop packs in 16GB of DDR/2666 RAM and a 512GB Samsung Pro 970 Pro M.2 NVMe SSD, one of the fastest (and priciest) SSDs you can buy. For bulk storage, the configuration we received for review also includes a 2TB Seagate hard drive. While that may seem quaint to you, it’ll see you through many a massive 50GB game install. 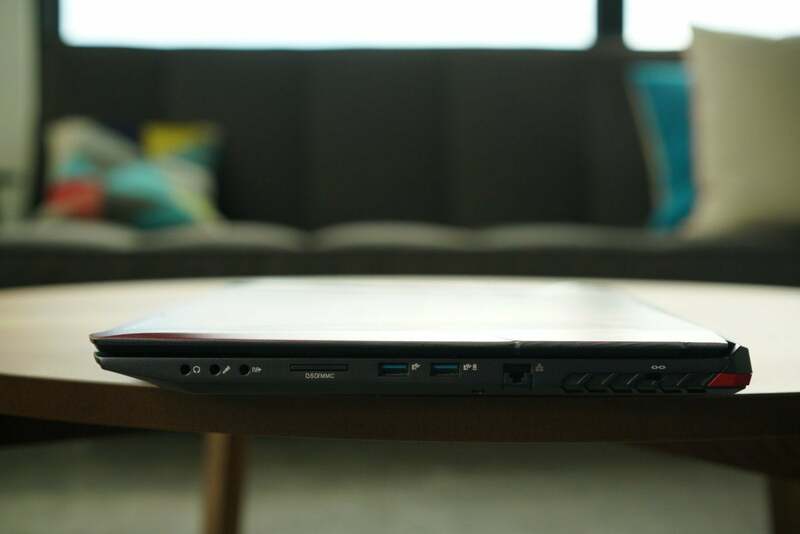 The EVO17-S gives you plenty of port options including a Gigabit ethernet port and the beloved USB Type A. The EVO17-S offers plenty of ports: two miniDisplayPorts, a full-size HDMI, two USB 3.1 Type A, and a single Thunderbolt 3 port on the left side. The barrel charger for the 230W power brick also plugs into the lefthand side. On the right side there’s an SD slot, two more USB 3.1 Type A ports, Gigabit ethernet, S/PDIF, and analog jacks for mic and headphone. 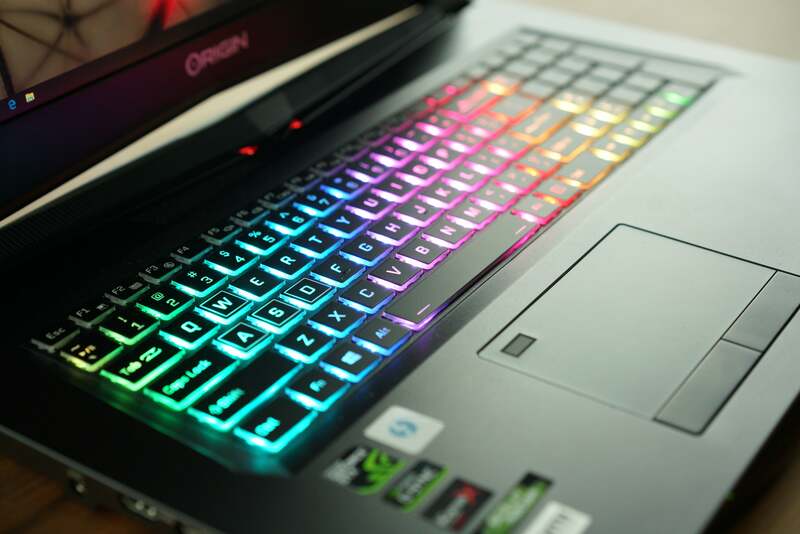 The Origin PC’s EVO17-S offers perhaps the brightest RGB keys we’ve ever seen in a laptop. The trackpad is a Synaptics model with fingerprint reader integrated into the upper left corner. Rather than a piano-hinge click-type trackpad, the trackpad doesn’t move. Separate left-click and right-click buttons are integrated into the bottom. The keyboard is a dome-type keyboard with an integrated 10-key numeric keypad. The keys are individually RGB backlit. Unlike some makers who have gone with keyboard skirts to minimize the glow (are they ashamed of their RGB?! ), the EVO17-S key bases are translucent. The result is perhaps the brightest RGB backlighting we’ve ever seen in a laptop—and maybe even among desktop keyboards. For those who may think it’s too bright, you can shut them off or select from three brightness levels. We’re clearly in our exhaust port phase of PC gaming today. The laptop measures about 16.5 inches wide and 11.5 inches deep and, as you know, about 1 inch tall. The lid, keyboard and bottom appear to be anodized aluminum, with the bezel of the screen made of plastic. 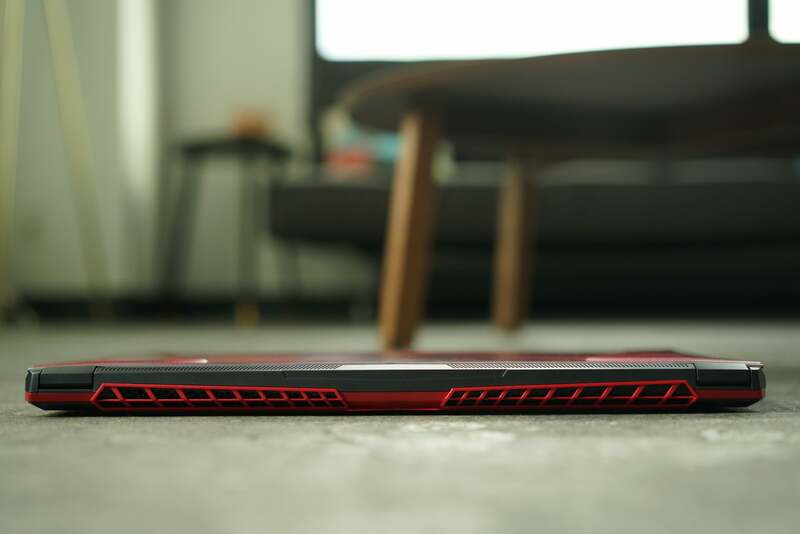 Though an inch thin, we were able to hold the laptop for a few seconds by each corner without heavy flexing. The 6-pound, 14-ounce weight of the laptop means you aren’t going to do that often, though, without snapping your wrist or fingers first. The total weight of the laptop with its 230-watt power brick is 8 pounds, 15 ounces. With some gaming brands pushing for more sedate looks to worm into work, the styling on the EVO17-S is very much in-your-face gamer. It’s all grilles, vents and bulges. 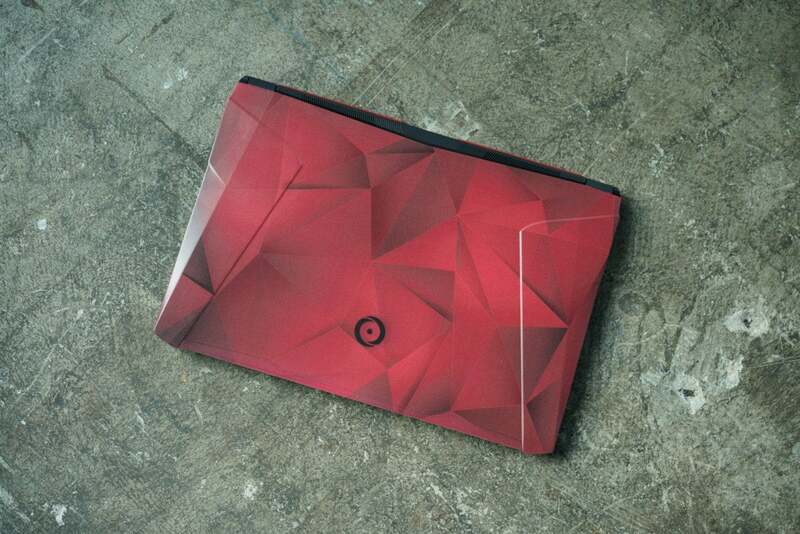 Origin PC, in fact, offers everything from the UV print on our unit’s lid to custom paint, laser etching or hydro dip. You can pick from UV printing (shown) to custom paint, hydro dip and even custom laser etching on the lid. Keep reading for benchmarks, benchmarks, and more benchmarks. Origin’s EVO17-S shows that you can indeed get Core i9 in a “thin” laptop. It just has to be different definition of what some would think of as thin.